Those of you who have kids will know that any attempts to have a reasonable conversation at the dinner table are generally interrupted by small people asking ridiculous irrelevant questions. Hubby: Fine, we had a big server install, the phones were mad and.. Older daughter: Dadddyyyy, why were the phones mad? - were they very angry with you? Hubby: Anyway, like I was saying, the phones were mad and.. Oldest daughter: Mummmmyyy, why when I was a little baby could I not talk? Smallest daughter Ma Ma Ma MA ba ba ba ba ba iggle piggle Upsy, ba ba waybuloooo uh oh, oh dear, stand up! Oldest daughter... Mummy....Why can I drink the water in the tap but not in the swimming pool? Youngest daughter ba ba ba! (Conversation continues with interjections for the next half an hour) - you get the picture. So at least once or twice a week, hubby and I make an effort to have dinner on our own without the kids, as sometimes its nice to be able to actually have a coherent conversation. On the nights that we eat without the kids, one of our staple dishes to cook is vegetarian fajitas. 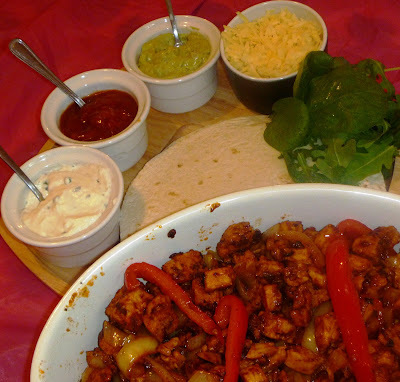 As well as being absolutely delicious and reminding me of my time spent in California (land of amazing mexican food), I love eating fajitas simply because they just take so long to make and eat. 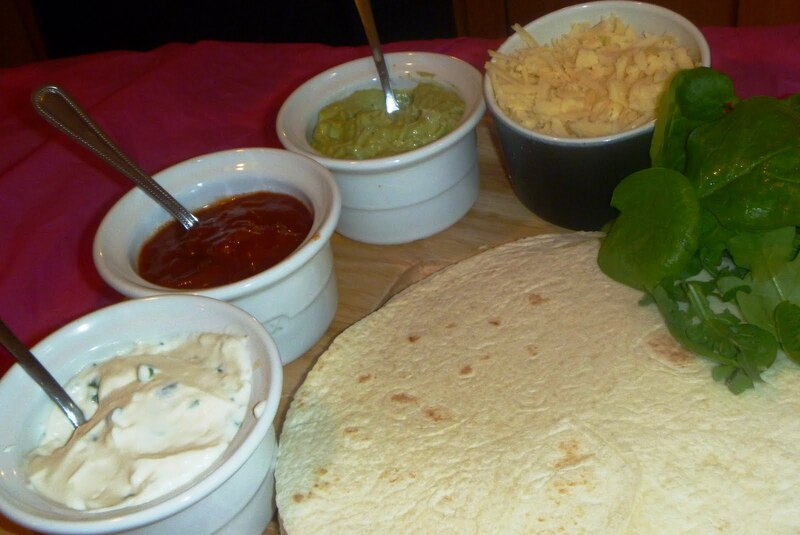 Thanks to all that is involved in preparing fajitas, building them and eating them, you can guarantee that hubby and I will be at the table for at least an hour, chatting, catching up and debriefing our day. This is probably the most time that hubby and I get to spend chatting to each other over food without interruptions. I really love sharing-style food which allows you to time to enjoy each others company. I find that when food is plated rather than shared, the pressure is on to finish the food so you don't keep others waiting whereas with sharing food, there is not such a definite "end" to the meal. So, onto to my fajitas. 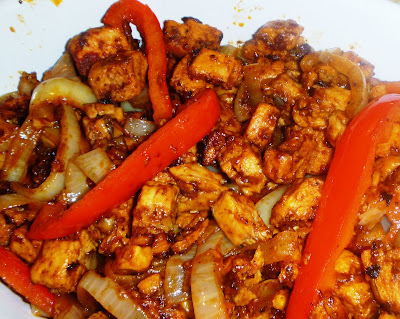 As this is always the second meal I cook, I go for the quick options and use a fajita mix rather than making my own most of the time.